Kelly Tobin was featured recently in Wallaces Farmer online magazine; he was one of the volunteers in Nicaragua with the Self-Help International Quality Protein Maize project. Tobin is a lifelong farmer from New Market in southwest Iowa. He traveled with family and other volunteers to the Central American country earlier this year. Read the full story and see photos of the trip: A field is a classroom. When I was growing up in rural South Dakota, my mother would talk to crowds about the dangers of soil erosion and unsustainable farming. She wasn’t a scientist, she was an actress. Actually, she was a farm wife. Let me back up and explain. 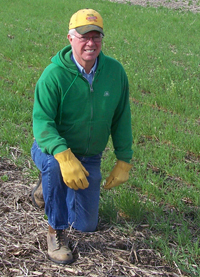 In 1984, the Land Stewardship Project of Minnesota knew that soil erosion was a problem. They wanted to get people talking about solutions. But they also knew that people are, by nature, skeptical – especially when prodded by those outside their community. The Land Stewardship Project took an innovative approach, combining art and education to connect with rural communities across several Midwestern states. They turned to a Midwestern author and environmentalist, Nancy Paddock, to write a one-woman show addressing themes of agricultural stewardship. And, in a brilliant choice, they found local women to perform the play – women known and trusted by their communities, women with a solid Midwestern background – women like my mother. My mother, traveling with a representative from the Land Stewardship Project, performed for audiences in church basements, community centers, even restaurants. Following the hour-long show, the Land Stewardship representative led a community discussion reflecting on the themes of the play. Phyllis Schrag (center right) pictured with husband Larry, son Ben, and Ben’s family. 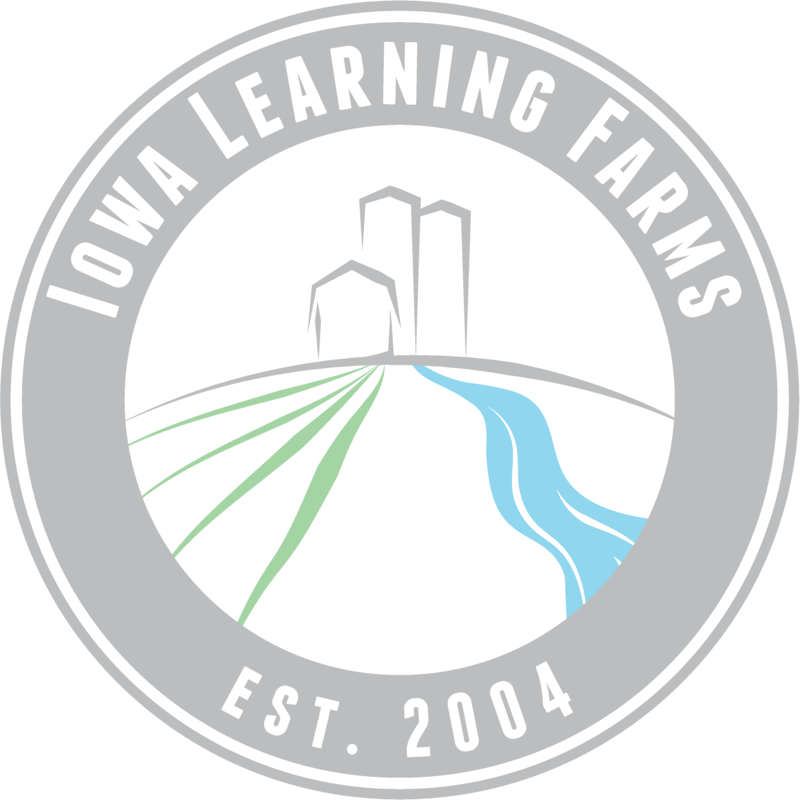 When I began working for Iowa Learning Farms and Water Rocks!, memories from this time in my childhood came rushing back to me. 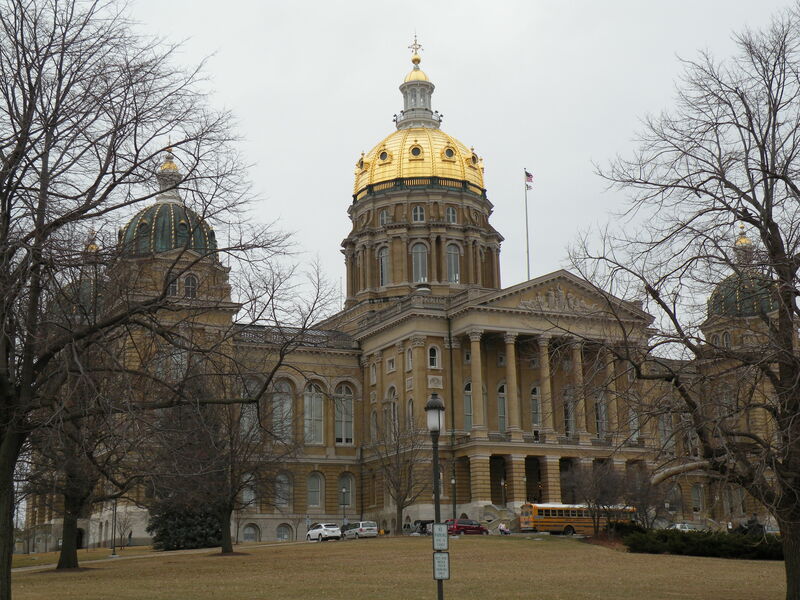 I am proud of my mother for her role in helping foster healthy dialogue surrounding land stewardship, and I am proud of the chance to continue that effort through Iowa Learning Farms and Water Rocks! #1NewThingForWater – Reduce Food Waste! A Feb 27, 2015, article “The True Cost of Food Waste” published in the Huffington Post explores the relationship between food waste and its relationship to environmental issues. One third of all food is wasted! Think of all the resources that went to produce that food. I know another new thing (#1NewThingForWater) the Water Rocks! team can do for water in 2015 is teach youth about the relationship between food waste and water quality/soil health. Wasting food is something we all do and so it offers a huge opportunity for change! Here is a summary of the article by Meridian Institute: In this opinion piece, Dan Glickman, former Agriculture Secretary and a senior fellow at the Bipartisan Policy Center, writes that the world wastes an astonishing amount of food. Given the economic costs of food waste, Glickman says, and the fact that nearly a billion people don’t have enough to eat, it is time to make reducing food waste a major priority. In wealthier nations, food gets wasted for cosmetic reasons or because we purchase too much; in poorer coun tries, it’s due to poor infrastructure. In countries like the U.S. and Europe, says Glickman, providing more information on when food will spoil could help prevent food waste. Another dent could be made by investing in how produce, fish, meats and dairy products are collected and stored, and by incentivizing consumers to be aware of the importance of only purchasing what they will eat. Developing countries need places to store food, as well as refrigeration equipment to transport and sell it. Glickman concludes: “Reducing food waste will pay off,” by both saving money and reducing greenhouse gas emissions. “Perhaps more importantly, it will make it much more likely that we will be able to produce enough nutritious food for everyone on the planet. That fact in and of itself should give us a reason to clean our plates.” To read entire article go to http://www.huffingtonpost.com/dan-glickman/the-true-cost-of-food-was_b_6769352.html. I want to share an opinion piece I read this morning. Mark Bittman makes some provocative and thoughtful arguments. Food for thought! 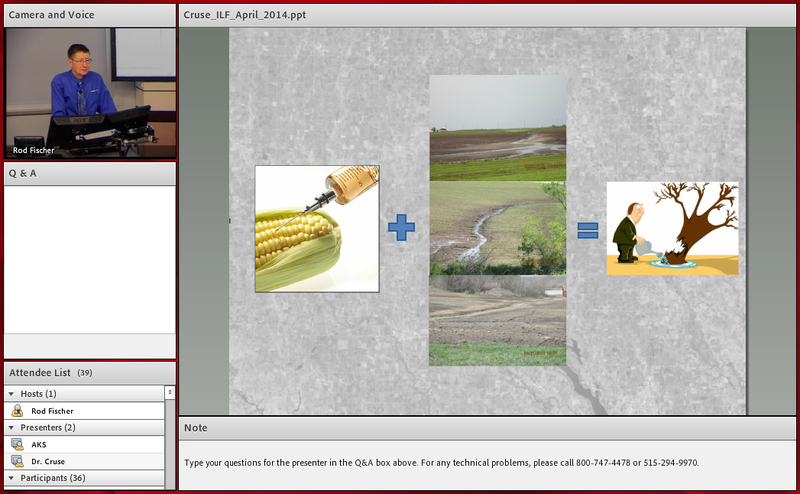 Top 10 Webinars #10: Soil Erosion in Iowa – How Much is Really Happening? 1. Demand for food is going up fast, but our supply of good agricultural land is going down. 2. The best farming technology we have still isn’t going to save the day if our soil is degraded. 3. Erosion is doing a lot more harm than the standard estimates might lead us to think. Estimating crop yield is very important when constructing a farm operating budget. Widening irregularity in harvested grain yield is making this process more challenging. So what is leading to this variability? A recently released report from a research team at IonE’s Global Landscapes Initiative reveals that historic climate variability accounts for nearly one-third of yield variability in the major food grain crops: corn, rice, wheat and soybeans. They examined newly available global crop yield data from 1979-2008, along with rainfall and temperature data. Their analysis revealed a variability of 32-39% between years which could be explained by the climate changes. Globally, this is equivalent to about 24 tons of corn, 3.3 tons of rice, 10 tons of wheat, and 2.2 tons of soybeans. Their analysis also revealed that the impact of climate variation is greatest in the world’s most productive regions such as the U.S. Midwest. More than 60% of the yield variability can be explained by climate variability in the midwestern states. This relationship has a large impact on the issue of global food security – a great growing season can result in an excellent crop and adequate food supply in the market, but poor growing weather can strain the food grain market. 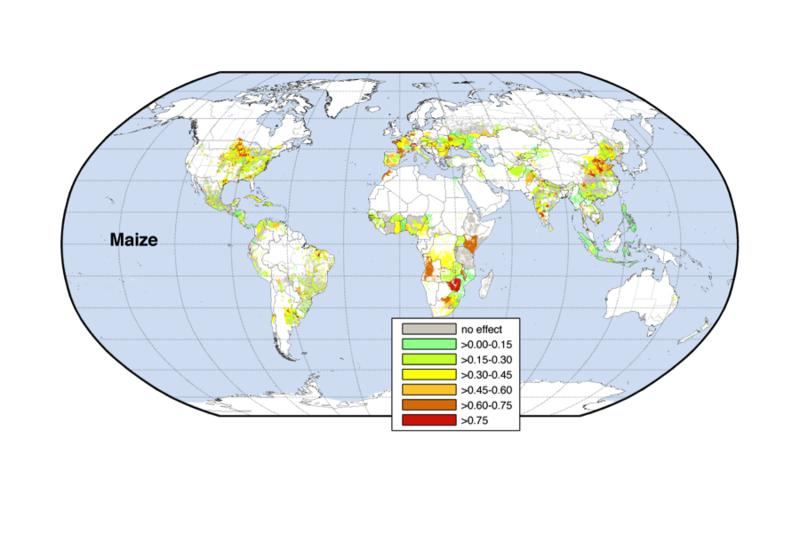 The connection between climate and yield variability differs around the world. It is strongest in the red areas and weakest in the light green and gray areas. The research team has plans to expand their study to see what aspects of climate are more important to yield variability. Understanding drivers of crop yield can help producers, farm managers, and policy makers target efforts to stabilize farmer income and food supply while boosting global food supply in a changing world. The last few posts in this Top 10 Most-Watched Webinars series have focused on specific agriculture and conservation practices. This time there’s a bigger-picture view in store, one that shows just how important it is to start changing practices in the first place. 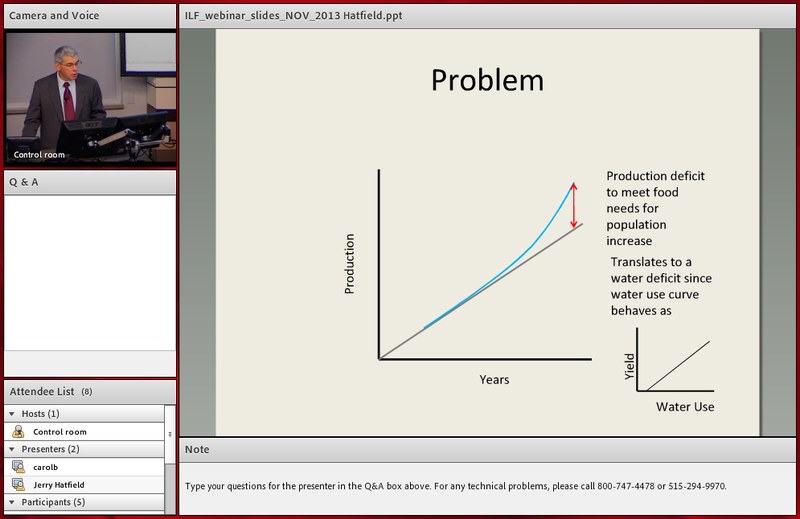 Today’s webinar is “Soil Conservation: The Foundation for Efficient Agriculture,” hosted by Jerry Hatfield, lab director of the National Laboratory for Agriculture and the Environment. 1. Food demand is increasing hugely … but land available for food production is decreasing, and agricultural lands everywhere show soil degradation. 2. Climate change isn’t a gradual uniform increase in temperature. It has different consequences in different situations, and a whole lot of those consequences look to be very dire indeed. 3. Resilience to changing climate will require good soils and good soil conservation, including cover crops and no-till.